The Artisan Hotel Boutique is dark. The Artisan Boutique Hotel is unknown. The Artisan Hotel Boutique is haunted. The Artisan Boutique Hotel doesn’t have ghosts and goblins or anything of that sort, but it does have a magic and delight like no other hotel in the entire world. I’ve never been by day so I cannot tell you of the pool that receives rave reviews. However, I can tell you that I can’t help but be overcome by the mystique of the hotel by simply walking into the lobby for an after hours affair. The place is overrun with chandeliers, paintings from the floor to the ceiling, and couches from yesteryear. 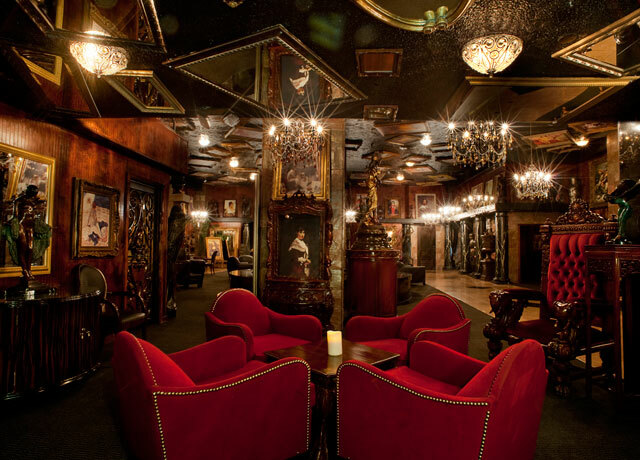 This place is widely known by locals of the Vegas scene but a mystery to outsiders due to its location somewhere off the Strip. That’s what makes it unique. That along with the hotel rooms of which none is identical. Each features its own collection of paintings and its own clever decor. For the lovers out there that want some dash with their Mrs, tune into a certain channel for some interesting programming. The Artisan Hotel Boutique is the sort of establishment that you exit in the wee hours of the morning, your eyes squinting from the relentless sun, searching for not only a taxi but also answers as to what happened the night before. Better put: If your not tired after a long Vegas night, then press forward onto the Artisan Boutique, an experience that will not disappoint.